This past week, I received an e-mail from my employer’s Human Resources department. After years of staying away from them, my company’s 401(k) plan will now give us the option to take a loan from our retirement savings account. It doesn’t really come as a surprise as seemingly all 401(k) plans nowadays are offering personal loan provisions to their employees. But just because your employer offers this option to you doesn’t mean you should take them up on it. In the interest of full disclosure, I took a 401(k) loan myself about ten years ago when my wife and I bought our first house. We had money saved up for a down payment but not enough to avoid having PMI tacked on. We justified that since it was our own money and we’d be paying ourselves back with interest we’d be saving money by going the route of the 401(k) loan to avoid unnecessarily paying the extra fee. In hindsight, our call was the right one. The stock market started going down after our loan was made and we ended up paying back the loan at a lower price than what it was issued to us at. I estimate we saved ourselves a couple thousand dollars by pulling this money out at the right time. But despite our success with the 401(k) loan, the odds of that happening were stacked against us. Although it doesn’t feel like it now, the stock market goes up more often than it goes down. 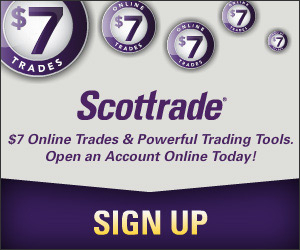 When that happens, you miss out on the market’s gains you would have earned had your money remained in the account. Plus, you need to take the security of your job – a big consideration nowadays with the unemployment rate hovering around 10% – into account before taking a loan as well. Most plans require you to pay back a 401(k) loan in full within about 60 to 90 days of leaving your employer. If you were to take a loan and find yourself out of a job shortly thereafter, not only would you be without an income but you’d also be on the hook for paying back your loan or face early withdrawal penalties. A loan you don’t pay back in time is treated just like an early withdrawal from an IRA account – a 10% penalty plus you’ll be taxed on the amount you don’t pay back. Not to mention you’ll be putting a significant dent in your retirement savings. This isn’t to say that you should never tap your retirement account for a loan. If you have some type of financial emergency and have no other real options for a loan then you could do a lot worse than taking a loan from your 401(k). In this case, it may make sense. However, if you’re looking to buy a fancy car or expand the budget for the type of home you can afford, consider all traditional lending options before making the decision to tap your 401(k). Retirement savings accounts are meant to fund your retirement. They are not meant to be used as a personal ATM machine. Leave it alone and let time and the power of compounding do a lot of the heavy lifting for you. Tap it early to pay for a current expense and you could find yourself struggling to catch up. ya, don’t take out a 401k loan unless its an emergency. If not, don’t take one out at all. I agree. The question I have is is there a max interest rate and a minimum repayment time for a loan? 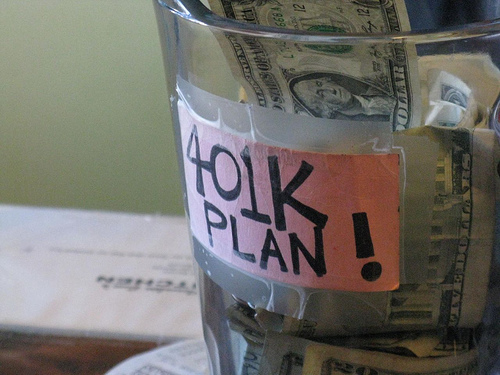 This might be a loophole to get more money into a 401k. One could take a $100,000 loan at 10% interest and repay it the next day allowing one to get an extra $10,000 into their account. The max for a 401(k) loan is $50,000 so technically your scenario couldn’t happen but I get what you’re saying. I think each employer sets the terms of 401(k) loans. Most set the rate around LIBOR so 10% seems a tad high. My employer tacked on the interest with every paycheck (10% divided by 26 pay periods) so if you paid it back the next day, there’d be very little interest to pay back. Nice try though!